You’ve found yourself in an interesting position. Your boss has just told you that he wants you to make an infographic since he’s heard they’re “all the rage” right now. So you hit the web and start researching your options. 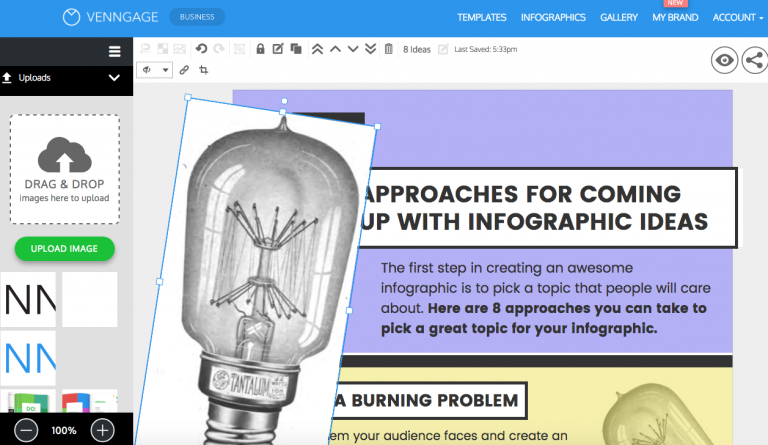 You finally land on the perfect infographic maker for your needs and spend the next couple hours whipping something spectacular together. But when you finally show the finished product to your boss, he’s underwhelmed and tells you it needs some work. Chances are you’re not an avid illustrator, and creating professional-looking infographics may not come naturally to you. But the truth is, you don’t need to be a top-notch designer to create compelling visuals. Sometimes all it takes is the right image and your infographic will look substantially better. 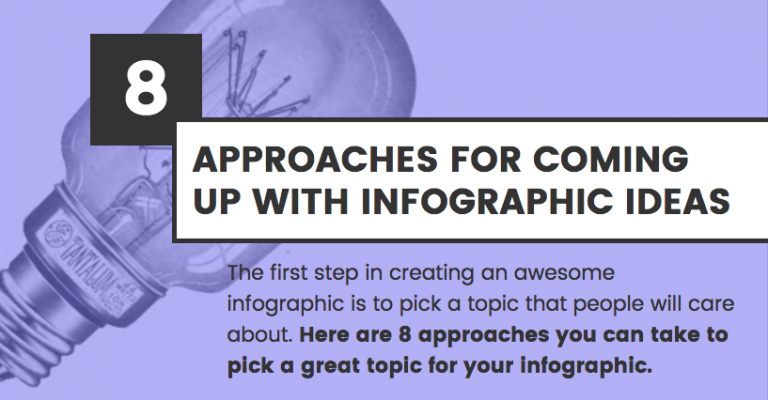 In this guide, you’ll learn how to use photography and stock images strategically to greatly enhance the look and feel of your infographics. Here is an example of an infographic header that doesn’t make use of any form of photography. As you can see it’s very simple and appears to be a bit text heavy. It’s not terrible. After all, the spacing is good and helps with readability, but the truth is that the header is a bit bland. 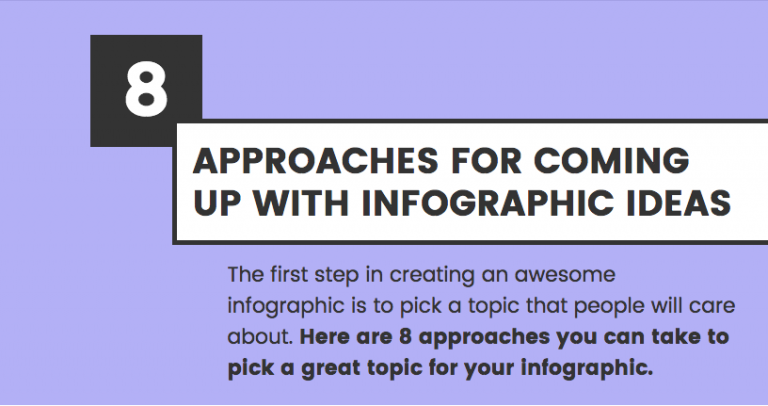 When it comes to creating the title card of your infographic, you need to do everything in your power to grab your reader’s attention. If they aren’t engaged by the title, what makes you think they will keep on reading to the end? It makes a huge difference, doesn’t it? In order to recreate this look, the image was uploaded into the editor, repositioned and overlaid with a simple purple filter. In this screenshot, you can see what the image looked like initially upon being dragged in. In order to fit the layout of the infographic, the image was then rotated and moved behind the purple header block. Then, by adjusting the opacity, you can create a unique aesthetic that fits the theme of your infographic. By simply applying this strategy, you can level up your designs without spending an arm and a leg on a designer. 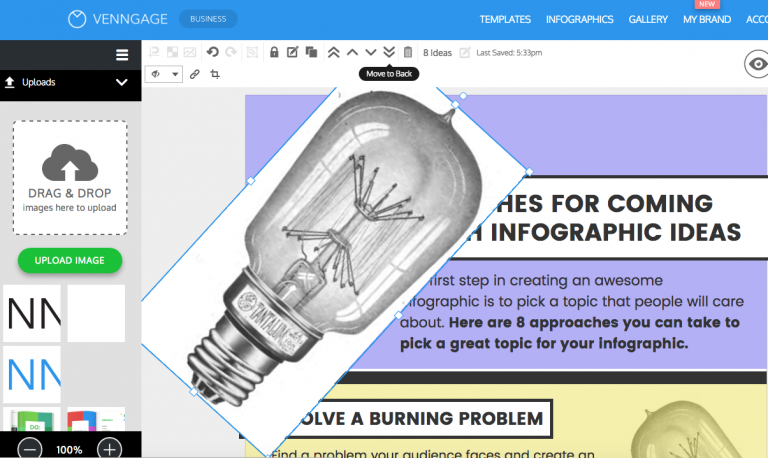 Next, you can use images to add depth to the background of various sections of your infographics. Here’s an example of a section within an infographic on visual marketing statistics without any integration of stock images. The design is simple and effective, but once again it’s very flat. In order to add depth to this section, we can utilize photography in the background. Let’s see what it looks like after we add this image of clouds as a background to this section. Using the same process from the above section, we are going to move the image to the back of the editing canvas, and lower the opacity on the grey block. Notice how the chart pops out from the page a bit more? By adding landscape photos to sections within your infographic, you create an almost 3D effect that pulls your reader in. Lastly, you can actually use images to create custom icons. 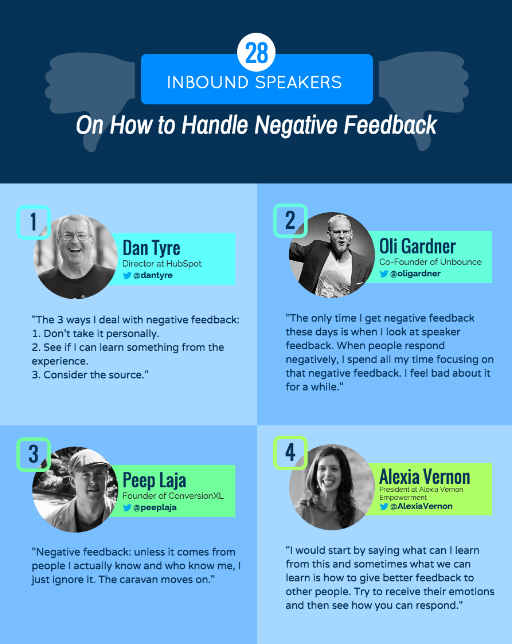 This is a great technique if you’re creating a product flyer, a recipe infographic, or an expert round-up post. By customizing your photos and layering on different shapes and styles, you can really draw your readers’ eyes to a specific focal point on your graphic. Kettle and Fire is a company that specializes in bone broth. 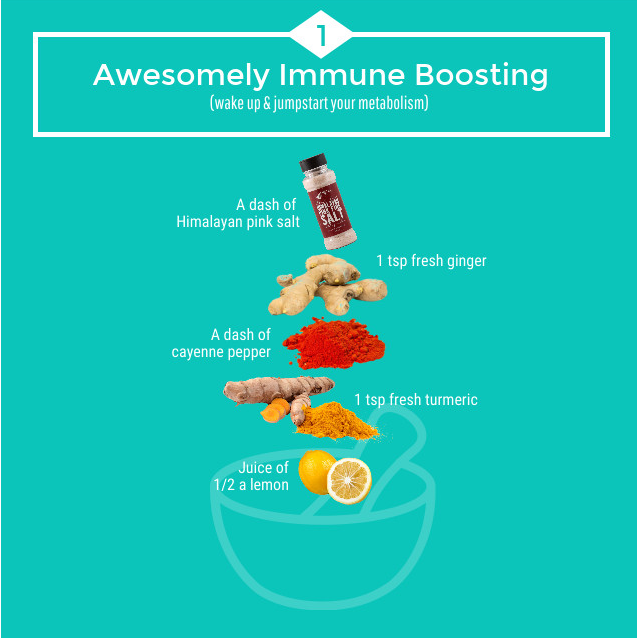 They created this recipe infographic that highlights a variety of ways in which people can drink their bone broth. Instead of just sticking to conventional icons, they used images of the various ingredients that make up their bone broth to create custom icons for their infographic. 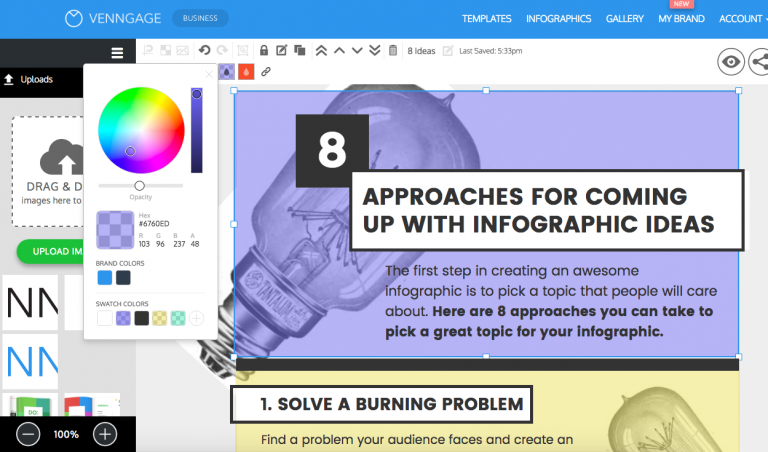 Here’s another example of an infographic which users images as custom icons. These images have been cropped down and overlaid with a gray filter. Rather than just using the picture on its own, however, they’ve been paired with a small banner with more information on the expert in question. This tactic literally puts a face to the words of advice from various influencers. Lastly, if you’re creating a product flyer, you can edit your images accordingly as in the example below. 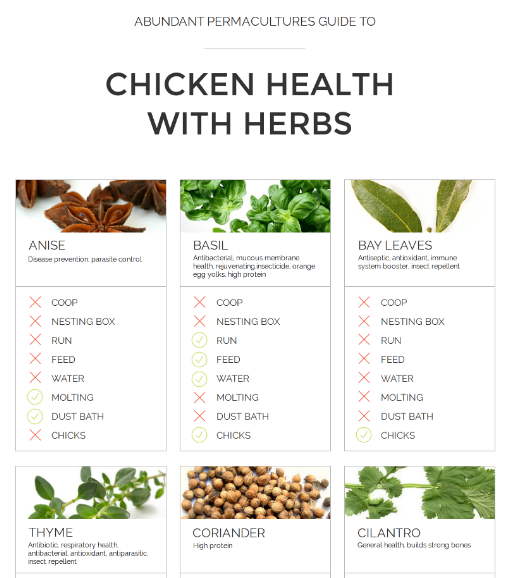 This company wanted to create an infographic flyer to educate their readers on which herbs lead to better chicken health (they’re farmers in case you couldn’t tell). Rather than listing the ingredients in text only, the image icons of the different spices greatly enhance the final graphic. Some of the best infographics on the web use stock images in the most subtle ways. If you don’t have a lot of graphic design experience, using additional photography is a great way to add depth to your infographics and enhance the overall aesthetic. The trick is on finding the best images to use in your creations. The opinions and/or subject views of this blog forum or publishing author does not serve as a direct or indirect reflection or as representing concepts of Clear Vision Digital Solutions nor should any of the featured content be held into consideration as binding ideologies of company policy or held liable by Clear Vision. We analyze and assess all content published on our network for quality assurance.